Todo Modo: bookshop, café and theatre all in one. A great concept! The venue has been beautifully designed by its owners. The European-style snack bar comes in handy when you feel a litle peckish. The friendly owners always welcome you with a smile. The bookshop boasts some 15,000 titles – you’re spoilt for choice! And Todo Modo has a section dedicated to books in English. 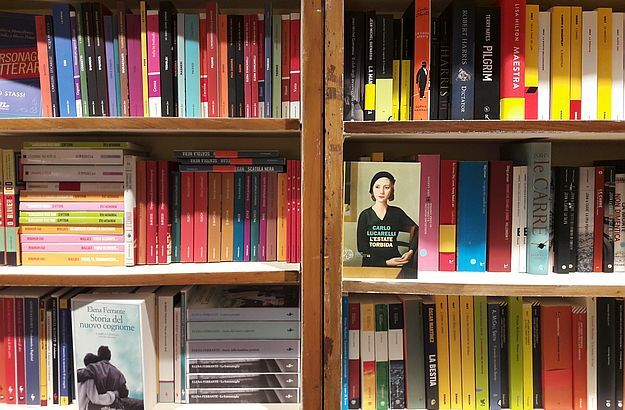 The gradual disappearance of bookshops, especially the small independent ones, is something that has truly saddened me over the past few years. 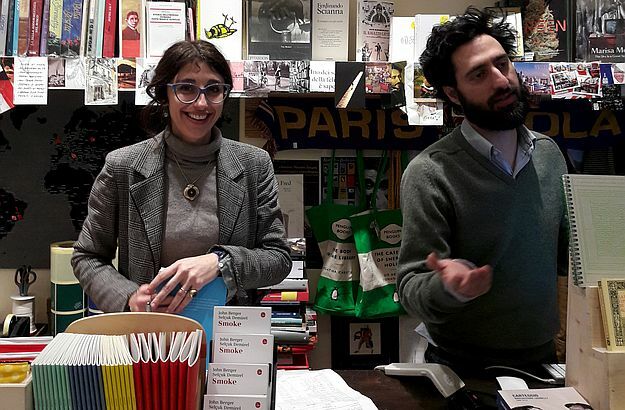 Just in Paris, for instance, close to a hundred book stores have closed down since 2010. 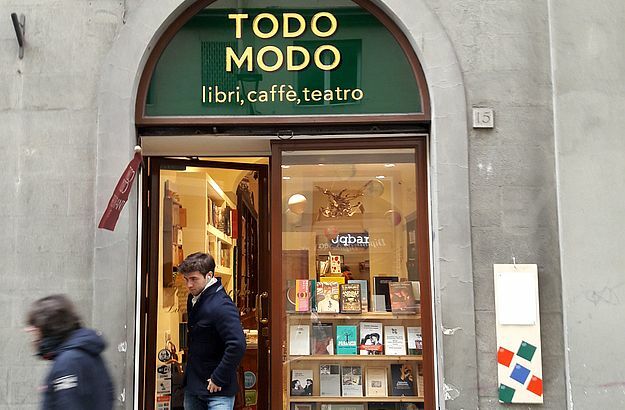 So I was elated, to say the least, when I came across Todo Modo in Florence a few months ago. 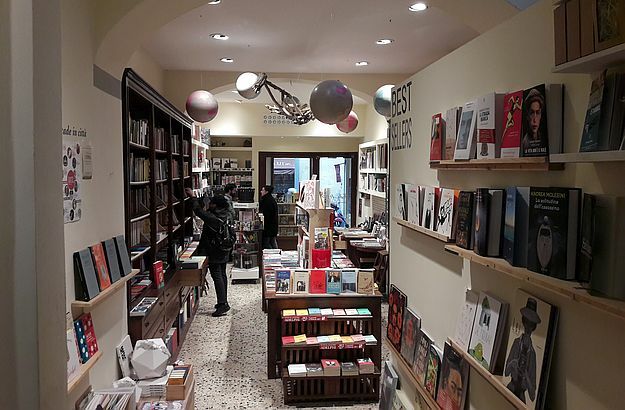 This relatively new store, opened just a couple of years ago, combines a 15,000 title bookshop, a cosy European-style snack bar and a “convertible” auditorium. It has been beautifully designed by its owners, who hoped right from the start that people would be eager to come and spend quality time in such a venue. And their efforts have been definitely crowned with success. 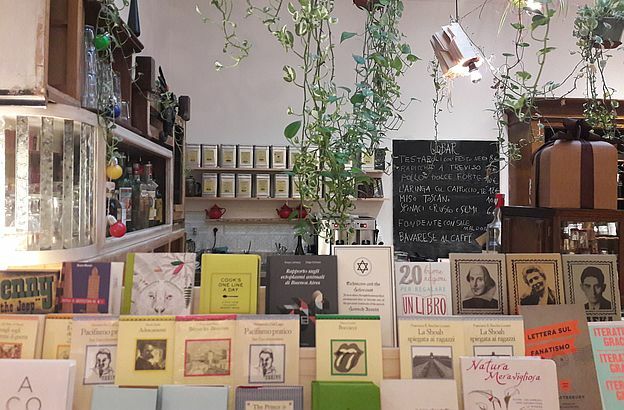 Chances are you’ll fall in love with Todo Modo, whether you go there to browse through the myriad of books, have a nice little lunch – do you fancy a miso soup prepared the Tuscan way? – or just sip a delicious cappuccino while using the free wifi for as long as you wish. The place has become the perfect little office for me when I’m in Florence. I can spend hours there checking my emails, going over some files, meeting friends and business partners. And I almost never make off without a new book! By the way, Todo Modo has an English book section too. As I mentioned earlier, the venue has been designed so that it can be turned into a little auditorium – the teatro. Once a week, on Tuesday nights, the tables of the restaurant are put aside to make room for book readings, concerts, screenings or seminars. You can attend any of these events with a glass of vino rosso in hand – Todo Modo has a great selection of wines! You can pay a visit to their website here: Todo Modo. They are open daily from 10 am (from noon on Mondays) to 8 pm (till 9 pm on Fridays and Saturdays). 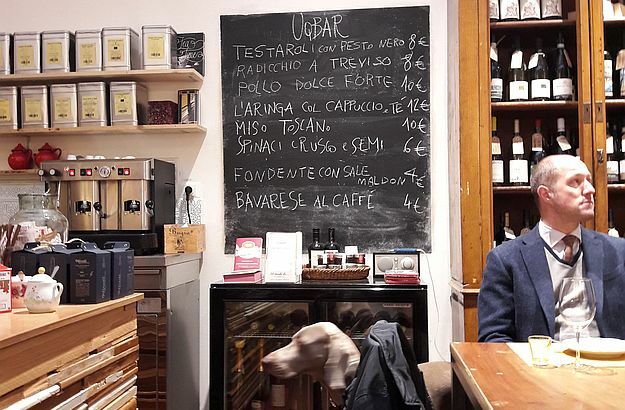 Their address: Via dei Fossi 15 rosso, 50123 Florence. And to conclude, just a little piece of advice: it can get quite busy around lunch time, so try to arrive a bit early if you can.